I'm a supporter of Recycled Doggies, and have adopted a dog from there. Through the Combined Federal Campaign at work, I have donated thousands of dollars to various charities over the years. On occasion, I go to clean-ups. For example, I've gotten with others to help clean-up parks and campgrounds due to litterbugs tossing their trash around. While I don't have much free-time, I do what I can to help keep our environment clean and healthy. Between work, my family, and school, I have little other free time. 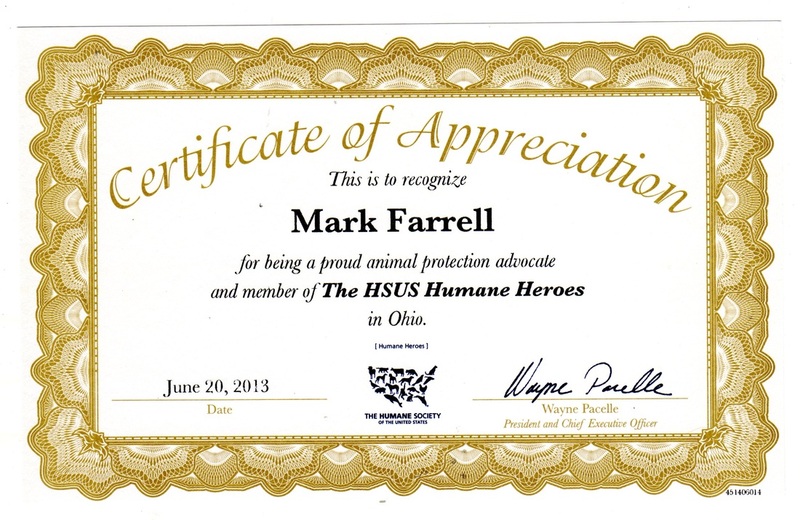 The Humane Society of the United States awarded me a Certificate of Appreciation in 2013 for activities and donations that helped support its goals.